Babies are so sweet and precious aren't they? We do everything in our power to care for them and love them and keep them away from harm. It is a shame though that the mattresses that we lay them to sleep on are made with toxic materials. Conventional mattresses are usually made with polyurethane foam, vinyl, and other petroleum based products and then treated with a multitude of chemicals (fire retardants, etc.). All of these chemicals release toxic fumes into the air our babies breathe. A safer choice is an organic crib mattress for your baby. The Natural Mat company was started in 2000 in Devon, England by Mark Tremlett and Peter Tindall. They were unhappy with the synthetic mattresses used on boats which didn't breathe and became damp and musty. So they set out to develop mattresses made of natural fibers. A year later they incorporated baby mattresses. With a belief that every child deserves the best start in life with a good sleep in a safe, comfortable and natural environment, Natural Mat offers a superior range of entirely natural, organic crib mattresses. Natural Mat’s hand crafted mattress collection combines the finest natural and organic raw materials such as lambswool, natural rubber latex foam, coir, mohair and cotton, offering parents peace of mind that they are doing what’s best for their baby and the environment. 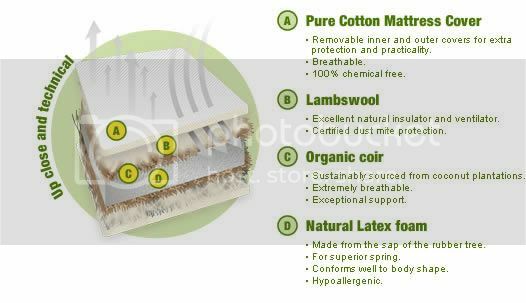 Natural Mat crib mattresses are handmade in England with natural fibers. 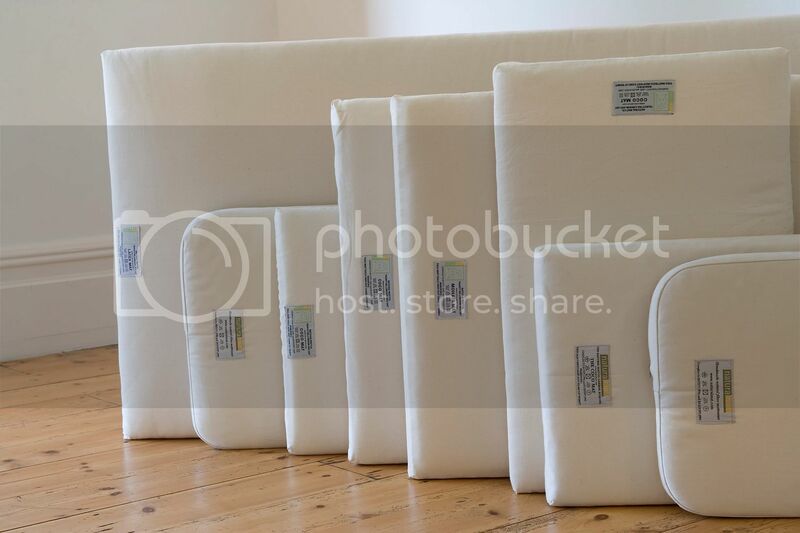 They do not use chemicals, plastics or PVCs and they offer 3 different organic crib mattresses: The Coco Mat, The Latex Mat and the Mohair Mat. 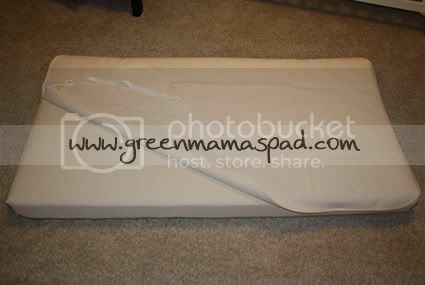 I feel very fortunate that Natural Mat sent me a Latex Mat to review. The Latex Mat is made from natural latex rubber foam put between layers of organic coir which is then wrapped in lambswool. 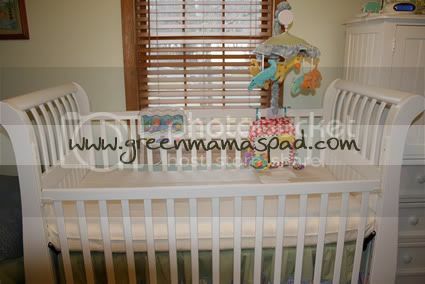 It is the most allergy safe and supportive crib mattress. The natural latex foam is anti-microbial and anti-bacterial. The coir (made from coconut husks) is naturally anti-dust mite and it is very breathable for good ventilation. Lambswool is a natural disinfectant fiber so it resists the growth of bacteria. It also is naturally flame retardant. I was so very excited when the box containing my mattress arrived. By the way, the mattress box is made from a mixture of recycled and renewable paper resources from FSC managed forests and all mattress packaging is biodegradable and recyclable. Considering the size of the box the mattress comes in, it is nice to know it was manufactured responsibly. The mattress literally arrived the week after my little man was born, so things were kind of crazy around here. It was probably another week or so before we actually unpacked it and put it in his crib. I have to say that this mattress is heavy! At least it seems heavy to me, but I'm not exactly strong either. I love that there is no layer of plastic around it and no "new mattress scent" (aka: toxic fumes) since there are no chemicals in there. And it is not as stiff as a conventional mattress so it seems like it is more comfortable. Of course my 2.5 month old can't tell me if it is comfortable, but he sure is a happy guy when he is laying in his crib! He loves to lay in there and play with is mirror or look at his mobile and he sleeps really well in here too. As well as a newborn sleeps anyway. :) All of the Natural Mat mattresses come with a removable cotton cover that can easily be unzipped and thrown in the wash when needed. In the picture below you can see that I unzipped the cover so you can get a little glimpse. Natural Mat also has a line of Organic Crib Bedding and they sent me a Breathable Mattress Protector to go along with my new mattress. Let's face, babies make messes all.the.time. Weather it be a leaky diaper or some spit up, chances are they will get their bed wet in some way and often. 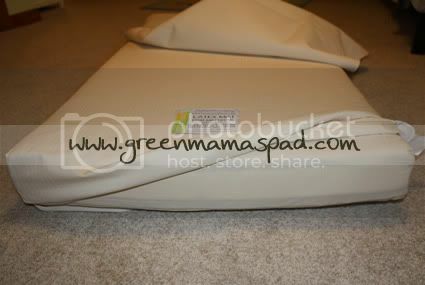 if you are going with an organic mattress then you certainly need an organic mattress protector to go with it. It would defeat the purpose if you went out and bought a protector that is made with PVC vinyl (to make it waterproof) and treated with flame retardant chemicals. the Natural Mat mattress protector is made of 2 layers of organic flannelette with a thin layer of polyurethane in between. There are elastic bands on each corner for you to easily attach it to the mattress. Now I am used to the types of mattress protectors that have the plastic (usually PVC vinyl) backing so I was skeptical of how well this would do when wet. So for my first test of it I dumped about 2 tablespoons of water on the protector and let it soak in. After a few minutes, I lifted it and felt the mattress - completely dry! In fact the underside of the protector was dry too. Since then my baby boy has spit up a lot in his crib and nothing every gets through to the mattress. And on laundry day it is super easy to pull the protector off and toss it in the wash and dryer. 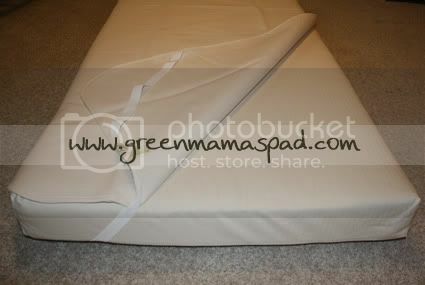 in the below picture you can see how the mattress protector attaches to the mattress. Now I know what you are thinking, how much is an organic mattress going to cost me? I will be totally honest - they are expensive. The Latex Mat that I reviewed here sells for about $399. But considering the toxins in their traditional mattress counterparts, is it not worth it for your baby's health? Babies come with a lot of expenses and the price may scare you. But if you purchase only one organic thing for your child's nursery, I strongly urge that it be an organic mattress. In fact I would tell you to pass on things like organic toys, clothing, towels, etc. and get an organic mattress. Those other things will be quickly outgrown while the mattress they will be spending at least 10 hours a day on and will be with them through toddler-hood. Wow! That sounds wonderful. I'm always looking to find natural and organic products to make my household healthier. I believe softness really count but it does have to be firm. Sounds like it's a wonderful mattress. I hate the plastic on the outside of regular baby mattresses. Crinkles ever time they roll over. Never fond of that. Infant mattress can be used pm up through toddler's and up to 4 yrs so it's definitely a good investment. Sounds like a worthwhile investment! I like that they offer 3 different kinds of organic mattresses - it is hard to find variety in many organic products, it is great that they have 3 choices! Allergies are a big concern in our home, so the fact that the mattress you reviewed is allergy safe is very appealing. That is awesome what I would have given to known or have one of these when my kids were little. Such a great review and definitely sounds like it's worth a purchase! I think this is a great review! Love that it doesn't have that new mattress smell - ugh, I hate that smell! sounds like a great mattress and well worth the investment. Looks and sounds like a great mattress!!! We also have an organic mattress for our LO. We had an organic protector picked out and when we put it on it didn't fit at all. I tried another one and same problem. So we took them back and have been on the hunt for a new one (they seem to be hard to find up here). Glad to hear you and the little guy like it. If we were having more children I would buy an organic mattress for the crib. We will be consigning our crib mattresses when the time comes. Wish I had known about this before we bought our crib mattress, it looks great!! If this issue is important to you, please take several minutes to join SafePhaseOut.org, a website dedicated solely to the replacement of deca-BDE with environmentally-friendly fire safety alternatives. I just supported the site and had a letter written to my legislator within the week. It would be so nice not to have my baby breathing chemicals all night. This is an excellent crib mattress. My sis-in-law has one and it's one of the best I've seen. Organic is really the way to go for precious little ones.